Nothing defines a relaxing outdoor experience like a fire pit or table. Call MLH Design & Build today and let’s get started. Outdoor fire pits or tables create a warmth and ambiance for the homeowner who enjoys outdoor living. 360 degrees of viewing, allowing you to take in the tranquil views of your oasis. A destination to relax, view the stars, engage in good conversation and create new memories. Gas or wood burning fire pits or tables are custom and exclusive to your design. They can be circular, square, or rectangular to fit any outdoor living space. Inlays coordinates perfectly with your newly installed or existing paver patio. 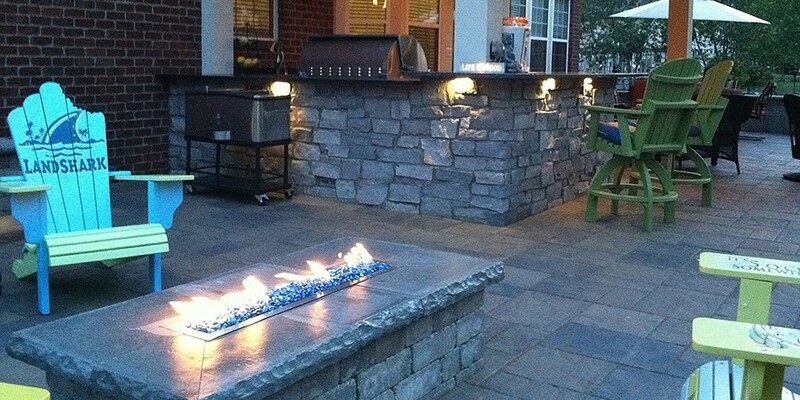 Encompass your fire pit or table with a seating wall for a convenient place to socialize and roast your marshmallows. Creativity is limitless when designing your fire pit or table. 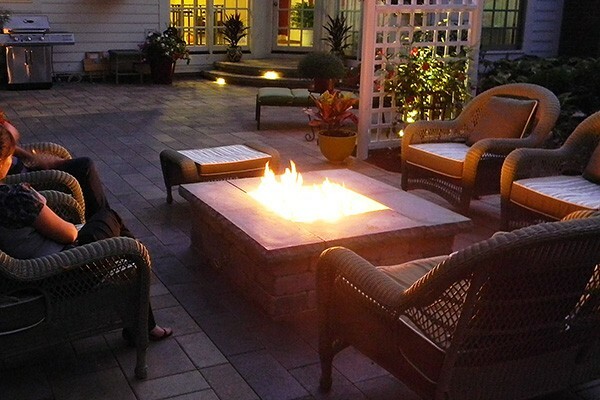 Our fire pits and tables will stand the test of time, and suitable for the weather of Columbus Ohio. Typical fire tables sits at standard coffee table hight of 19″, which allows the table to put off the greatest amount of heat and also gives you the comfort of a coffee table. Visit our outdoor living photo gallery.